Do you ever wonder what your life would be like if you were born three generations back? Maybe I’ve been watching too many sepia-toned Ken Burns documentaries, but in the early 20th Century, I’m sure I’d find myself organizing lady garment workers into a union. Then I’d be a suffragette, and then a flapper, and then – after a quick nap – I’d be Franklin D. Roosevelt’s Secretary of Labor. When war breaks out, I’d clip on my overalls, flex my biceps and clock in at the nearest ammunition plant. 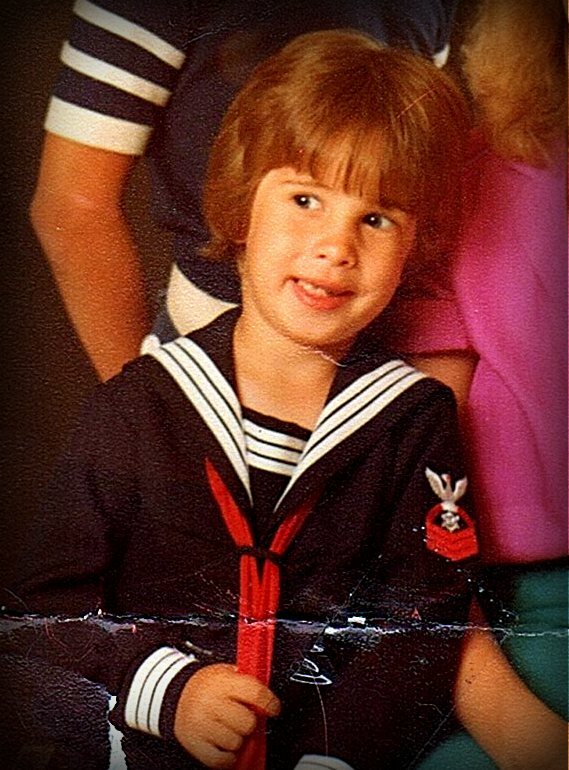 Scott in a sailor suit, slightly too young for war. On VJ Day, I’d head to the docks and kiss every GI on the mouth. Hopefully, one of them would be Scott, in a tight-fitting sailor suit. 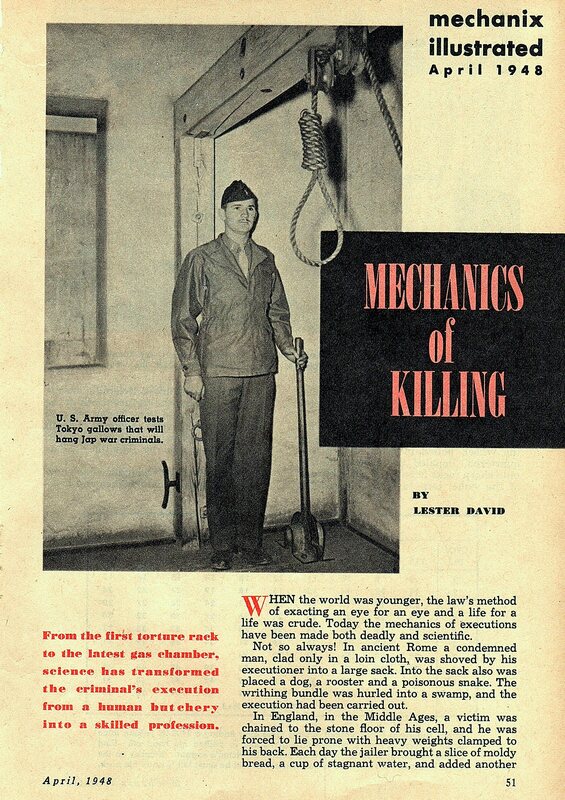 However, my revisionist fantasies fall flat when I remember that 70 years ago, I wouldn’t have a blog. * I wouldn’t even have a zine, or a faxed newsletter. 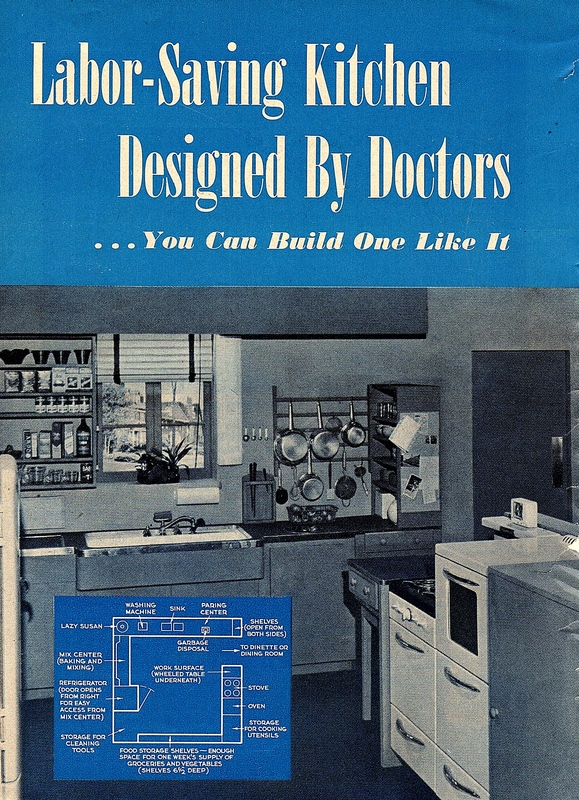 And without the internet, I’d be forced to get my project inspiration from books and magazines. 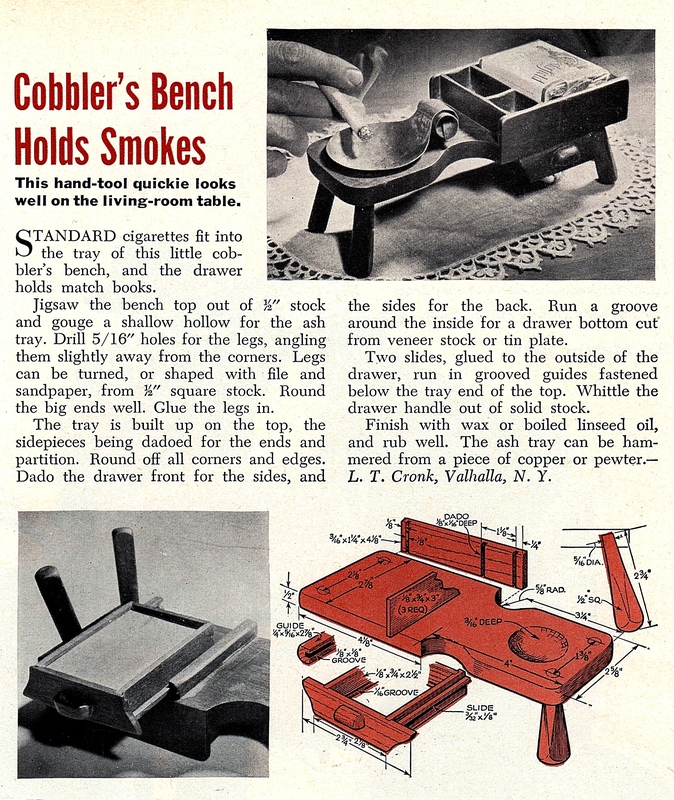 So, what kind of projects were DIY enthusiasts buzzing about 70 years ago? 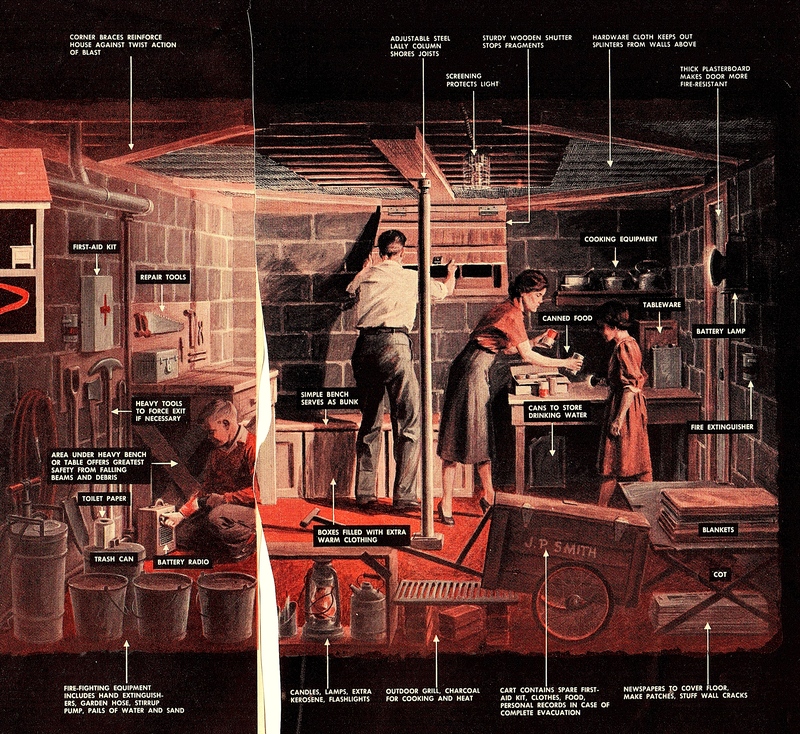 In the dark days before This Old House and Apartment Therapy, what did we have for project and home improvement inspiration? 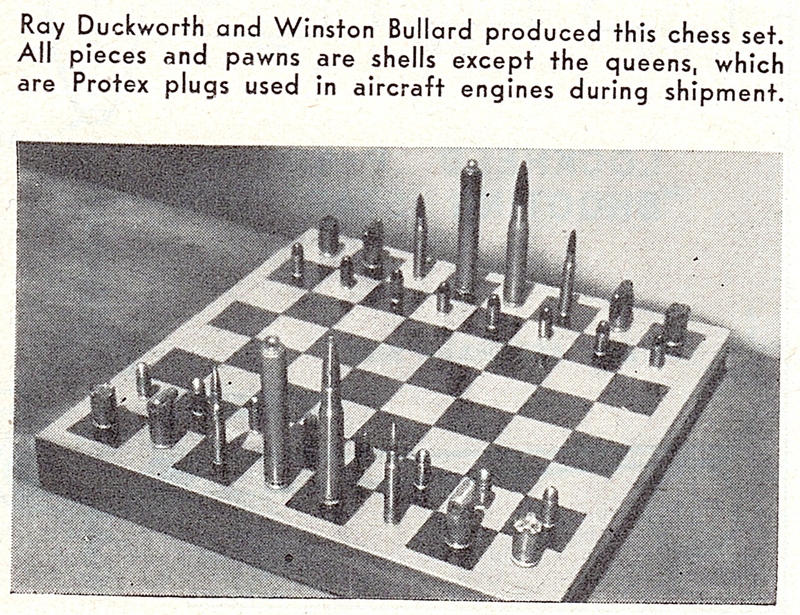 I can’t wait for the rationing on chess pieces to end! And just what DO I do with all these old warplanes laying around everywhere? “War Surplus” is more than airplanes and bullets! Let’s put those leftover chemical weapons to good use. 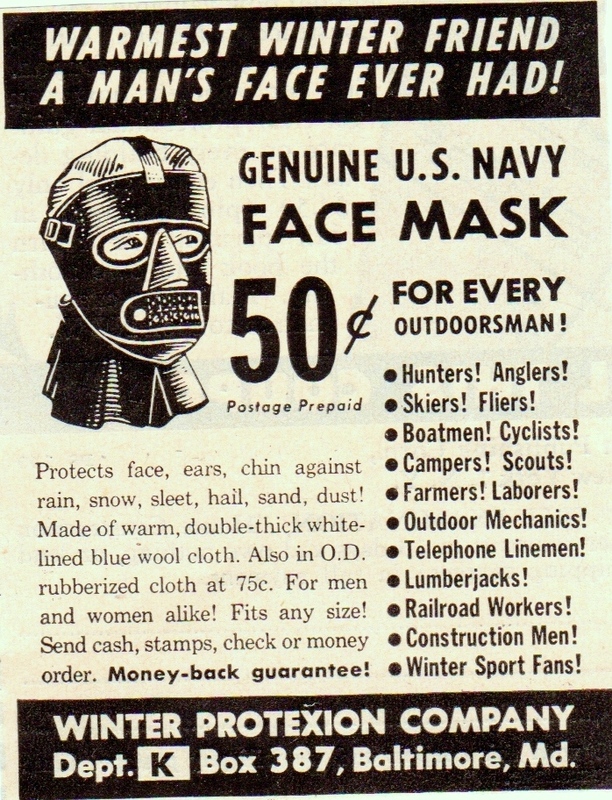 When shoveling the driveway is colder than the 1939 Soviet Invasion of Finland, try this Navy Face Mask. Makes a perfect gift for the dungeon enthusiast in your life! Actually, you might want to keep that mask handy for your newest hobby — hunting uranium for fun and profit! 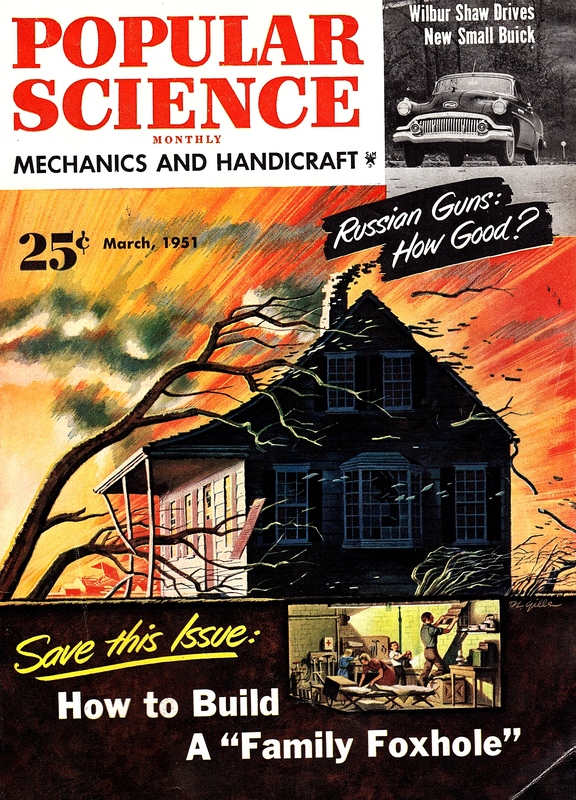 Now that the War is over, thousands of suddenly-bored scientists are itching to tell you how to run your life. This article warns millions of (also suddenly bored) American housewives how prevent over-exertion from cooking dinner. 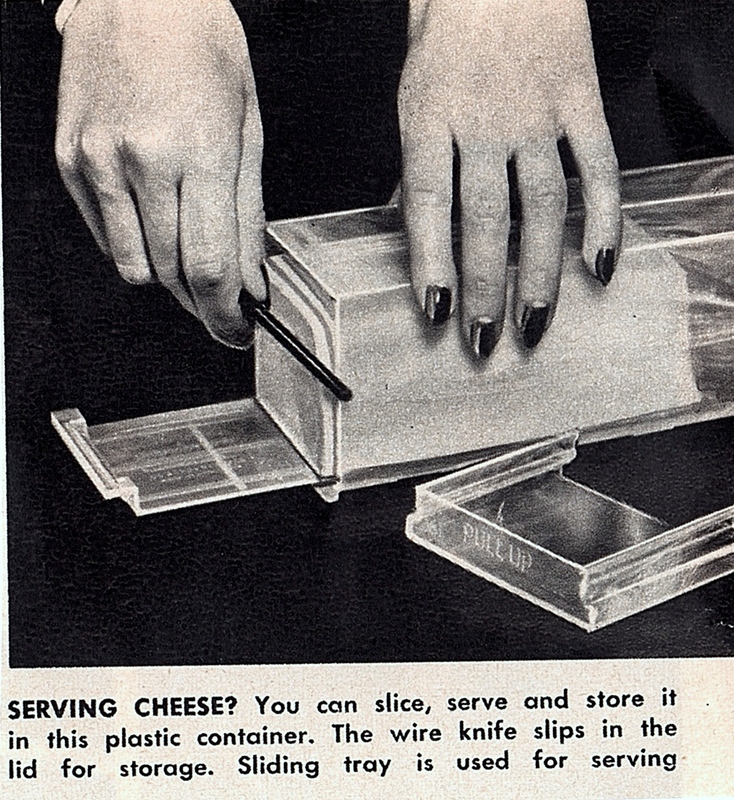 Ladies, why aren’t you harnessing the power of the latest cheese slicing and storage technology? Khrushchev is totally gonna lose it when he sees this! On second thought, maybe we really shouldn’t try to piss off Khrushchev too badly. 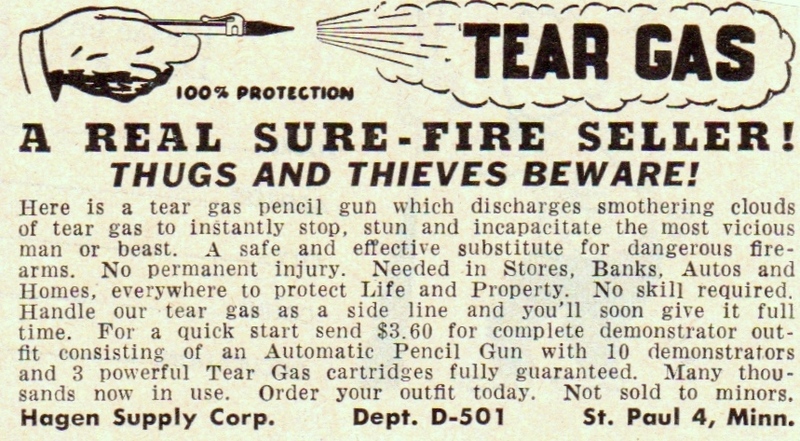 You know, because of that whole pesky Mutually Assured Destruction thing. In the meantime, here’s a home improvement project the whole family can enjoy! Should I smoke, or drink? Now you don’t have to choose! It’s such a nice day! 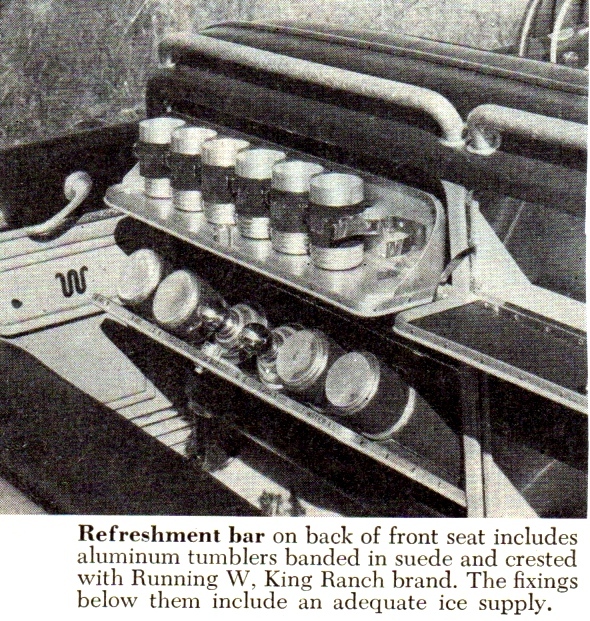 let’s go for a drive in the Ultimate DUI Wagon, conveniently stocked for your mobile binge with booze, tumblers and ice. Kids today think they INVENTED distracted driving. Honey, we were doing it back in the 1940s. 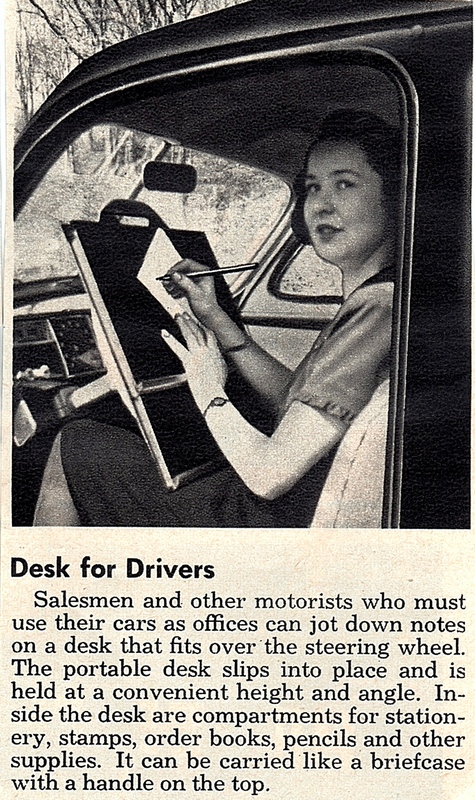 This “portable desk” for traveling salesmen fits right over the steering wheel! 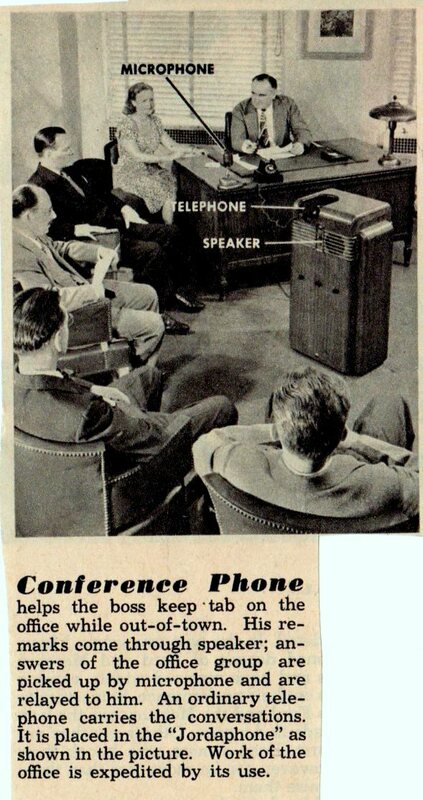 And back at the central office, these humble workers just survived the world’s first conference call, which, through a decades-long process of technological mutations would result in the world’s worst portmanteau, the WEBINAR. Don’t worry, we have more to look forward to than just death, and more death. 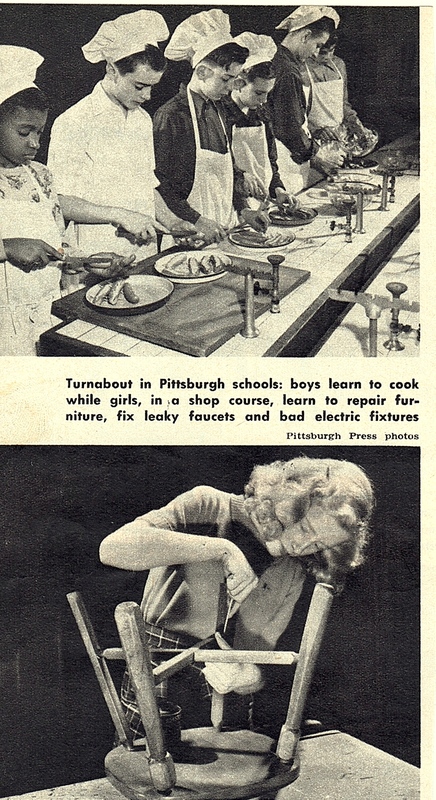 This “High School of the Future” teaches boys to cook (hot dogs), and girls to (*gasp*) repair furniture! And when all else fails, just push this Amazing Mystery Button, which transmits music to distant places and comes with a 5,000 word instruction book. * Or a college degree, or a polio vaccine, or access to birth control. But we’ll save those details for another blog. ** I don’t approve of hoarding in my own home, but I do enjoy benefiting from the hoarding of strangers. 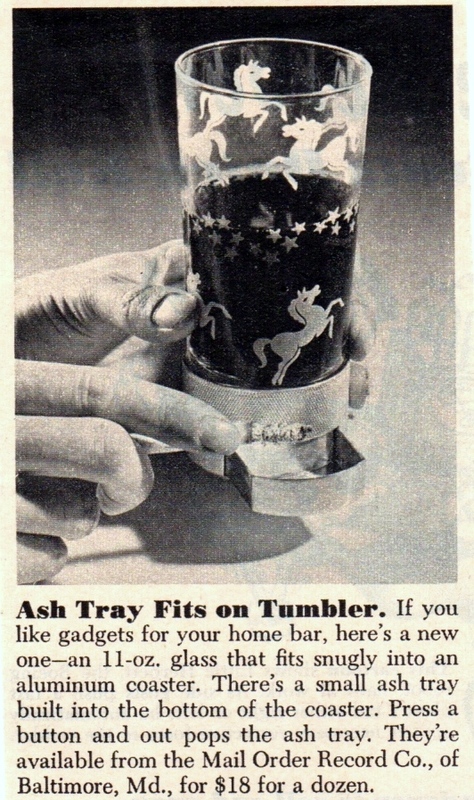 *** Before Etsy, there was Grandma. 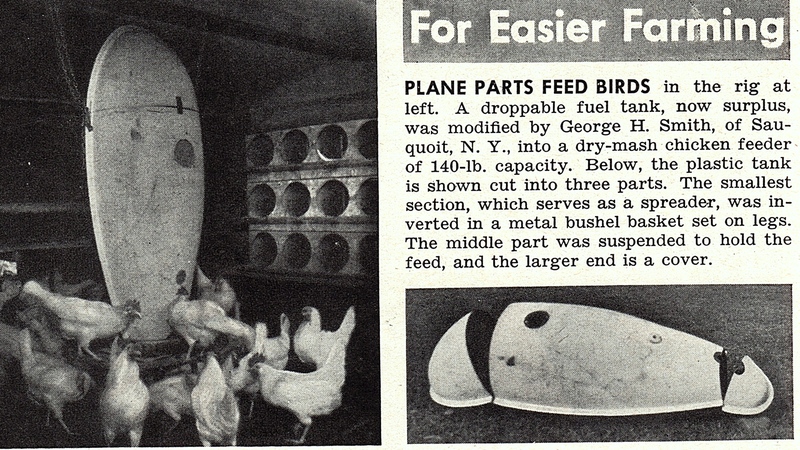 I need a chicken feeder, I’ll definitely be looking for a nice plane fuel tank – they drop off all the time, don’t they?